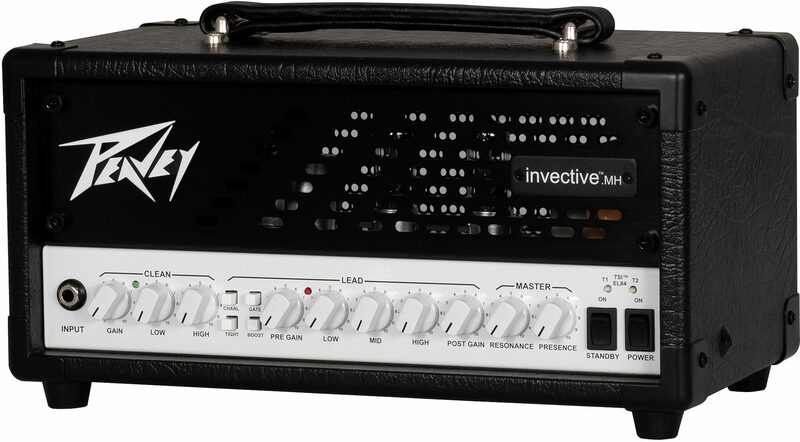 In a second collaboration with Periphery guitarist, Misha Mansoor, the invective.MH amplifier packs all of the best tones from its 120 W big brother into a much more portable 20 W mini head format. 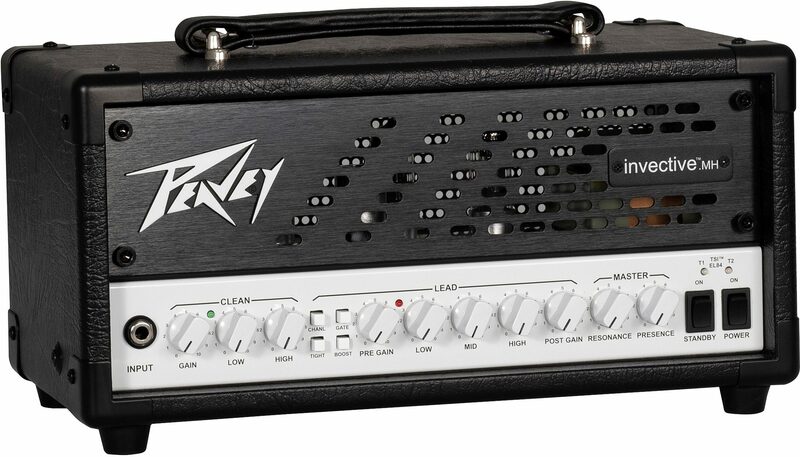 At the heart of this little monster is a pair of EL84 power tubes shaped by three 12AX7/ECC83 preamp tubes, providing everything from pristine cleans to the infinitely chunky gated d'jent destruction. The many features of the invective.MH will satisfy even the most discerning of gear heads. The onboard T.S.I. (Tube Status Indication) circuit helps the user diagnose a problem with the power tubes. The bias adjustment pot is located on the top of the small, rugged chassis. 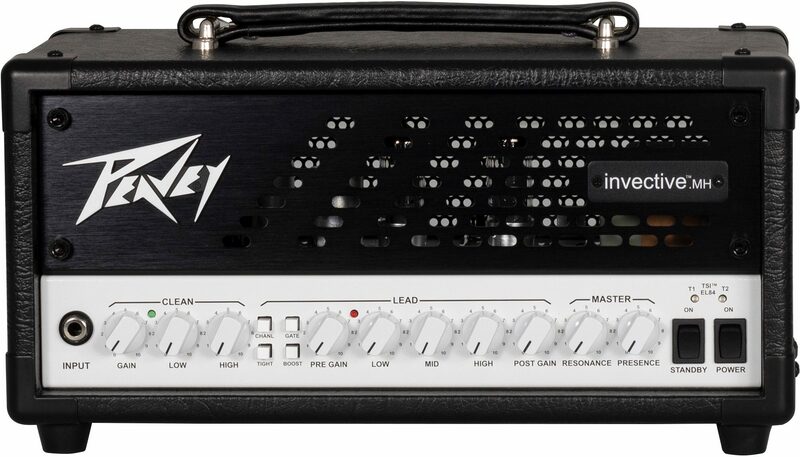 Additionally, foot switches allow the invective.MH to engage or disengage the tight voicing and any combination of Gate and Boost on the Lead channel, respectively. There's also an independently foot-switchable buffered effects loop. If there's one key takeaway, don't be deceived by the size or format of the invective.MH. 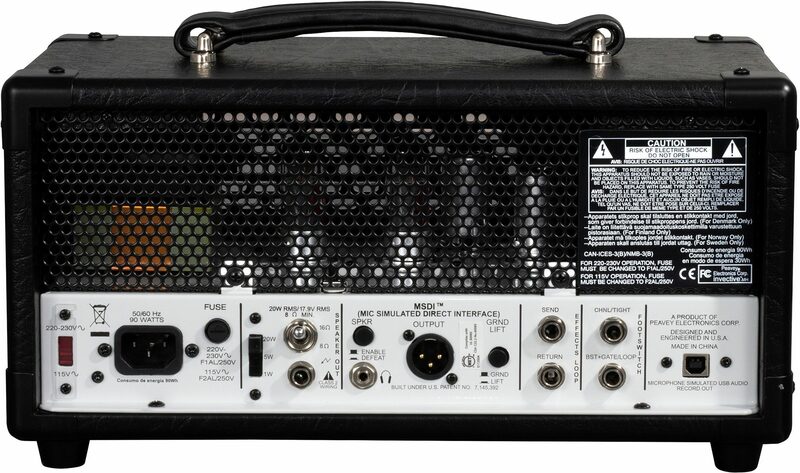 No matter the venue, this mini amplifier has plenty of oomph for small-to-medium sized gigs and can even work as a backline stage monitor with its attenuator switch directing power at 20 W, 5 W, or 1 W to suit the need. 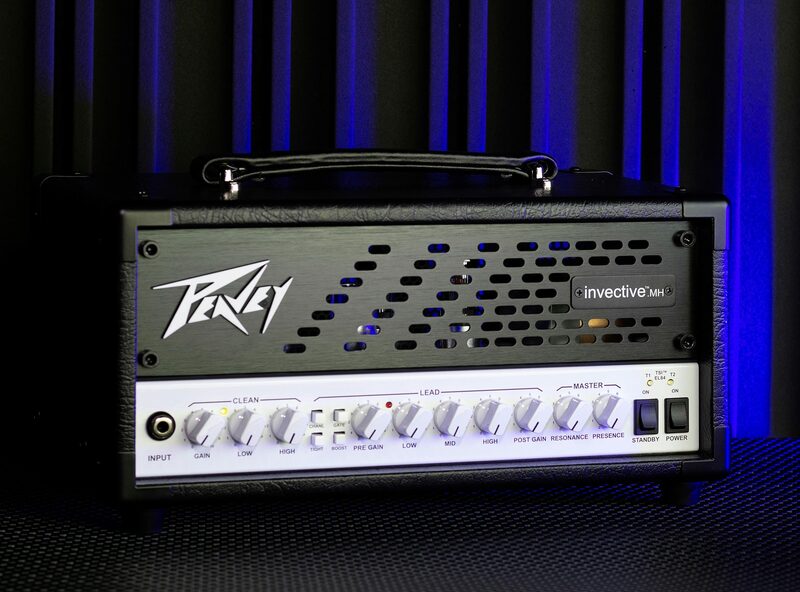 On the clean channel, adaptive low and high EQ help find the sweet spot with ease. The lead channel provides a three-band EQ. Master Resonance and Master Presence pots help shape the tone. 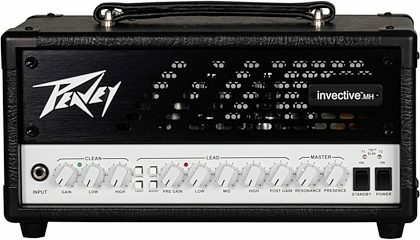 In addition to its new sounds, the invective.MH has all of the recording hooks and flexibility of the other Peavey MH amplifiers, including MSDI (Microphone Simulated Direct Interface) Output with XLR and ground lift switch, speaker-simulated USB, speaker defeat switch, power attenuator, headphone out, and more. Dual quarter-inch TRS footswitch jacks allow for ease of MIDI control. "Awesome tones from a small package (pun not intentionally intended)"